We are excited to introduce Fruitive’s first official Ambassador, Zachary Beaudoin! 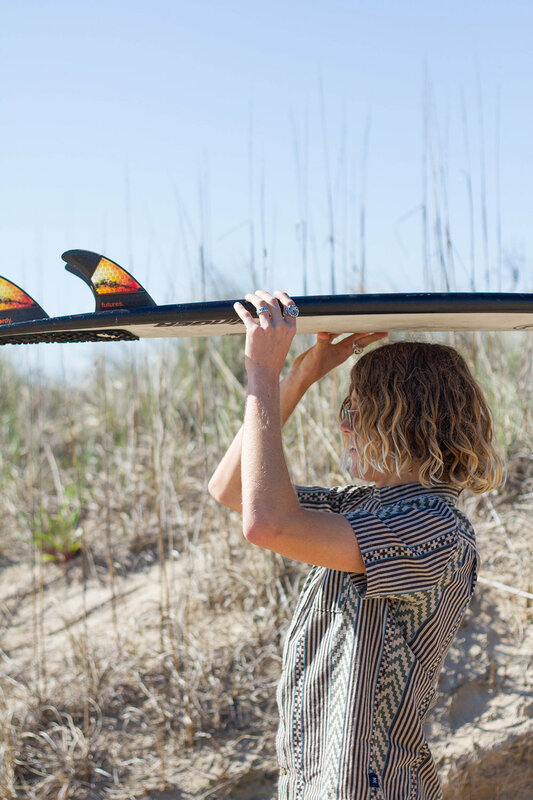 Zack is a 21 year old Norfolk-native, plant-based professional surfer, and Fruitive regular. I had the opportunity to share a Fruitive meal with him at our Ghent location and we chatted about his relationship with surfing, eating plant-based and everything in between. ...Zack reminisced. Ever since that day he’s been hooked on the sport. One of his friend’s dad had an old surfboard and when the winds would blow northeast, he and his friends would surf at the bay. There were multiple summers that Zack went to WRV surf camps, which jump started his training. He’s been going strong ever since. His fuel for surfing has always been manifested through not having big waves here in Virginia Beach. “It started becoming a way of life. I was always checking the waves. It’s a full addiction, and a stimulation that’s like no other. There’s a sort of connection that happens out there,” he said. He described riding waves as “a wild, magical happening that makes me 100% a better person”. He feels happier and more creative after surfing. I asked him why people have been surfing in Virginia Beacb for over a 100 years when there aren’t reliably good waves. “There’s a draw because this is a sustainable place to sell the package of surfing. There’s an ocean (it’s sustainable, surfable), tourism, and a large culture that lives on the beach. It’s a cultural thing. It works. The fact that there is surf on an inconsistent level, makes us want to surf more. You don’t take good waves for granted. There are more hungry, more devoted, focused, driven surfers on the East Coast because we don’t have the opportunity to take it for granted,” Zack said. He didn’t miss a beat when asked about his best surfing moment. “Puerto Rico - two months ago chasing a large winter storm.” On his 3rd day, he and his friends pulled up and saw waves breaking 200 yards out with 20-30 foot faces around a reef break. The sun was just rising over the crystal blue waves. Only one spot to exit and enter from to surf, they hit the water and started digging as hard as they could, current sweeping hard. He surfed a 15 footer to get his nerves settled and kept going bigger until he took a 20 footer. It was a perfect surf day of fighting currents, riding huge waves, and reaching new goals. Zack went plant-based a year ago. When he made the change in his diet, he felt a significant increase in energy, increased regulation, and overall better health. In addition, he’s cut out processed foods and does intermittent fasting paired with carbohydrate restriction at the end of the day. His typical day starts at 6am and he finds that he has elongated energy, doesn’t “crash” after eating, and feels good the rest of the day. He makes most of his food at home and boasts making a killer coconut curry. When he’s not catching a wave, you can probably find Zack hanging out at one of the local Fruitive shops, skateboarding, reading, journaling, or traveling. Keep an eye out for an instagram takeover with him soon and be sure to catch him at this year’s ECSC competition! Favorite Fruitive menu items: Tuscan Kale Wrap, PRObowl + maca powder, Immunity, Hail to the Kale Salad, and Coffee Date. What are some food / drinks you like making at home? Coconut curry and smoothie bowls. - Blend together in blender. Top with hemp seeds, goji berries, handful of raw pecans. Tip: Heat up coconut oil and put on top of smoothie bowls to create a crunchy, turtle shell topping.